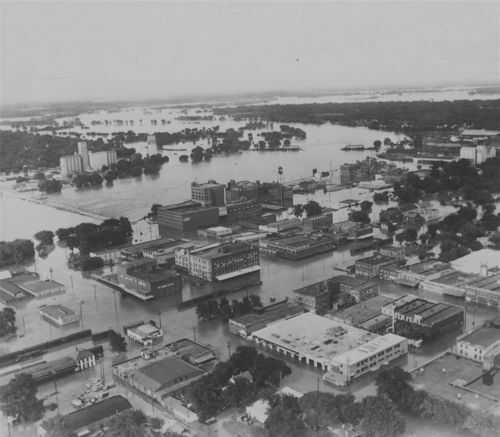 This black and white photograph shows flood waters of downtown Topeka, Kansas. The extremely heavy rains during June and July of 1951 caused some of the greatest flooding ever seen in Kansas history. These high waters affected all the area river basins of the Kansas, Neosho, Marais des Cygnes and Verdigris.